Penn spinning reels have a reputation of being robust workhorses, and they offer a blend of traditional design concepts while incorporating modern technologies. But does this make them a good option for you? Here we take a look at the best Penn spinning reels, to give you an idea of what models they currently have available, and what exactly you get for your money. Why should you trust Penn spinning reels? What you will notice from the range of spinning reels from Penn is the vast range of sizes they have throughout their different models. Right from the smallest 1000 size reels, that are ideal for the lightest of spinning in rivers and streams, all the way up to the hefty 10,500 size reels, designed for big pelagic species out in the ocean. The seals used on their reels not only keep the internal components and bearings dry, but they also allow the reel to operate smoothly on a consistent basis. This is not always the case when the watertight sealing is not designed correctly, but Penn has nailed it with their waterproof designs. When you are fishing with big powerful reels and going after large fish species, then it goes without saying that you need a drag system that will cope with this demand. That is why Penn developed their HT-100 drag system in 1986, and this has provided anglers with the smooth and powerful ability to play those hard fighting fish once they are hooked up ever since then. The HT-100 drag uses carbon fibre washers that are used in this drag system provide the smooth operation, and they have eliminated any erratic movement that some other drag systems have. This gives you a much better chance of staying hooked up on any hard fighting fish, and allows you to take control over the fight. To break down what “HT-100” actually stands for: The HT stands for “High Tech”, and the 100 symbolizes the testing parameter, where the equivalent of 100 miles of fishing line was pulled against the drag of the reel, and the washers barely had any wear to them. Pretty stringent testing and results! More recently Penn has introduced a new drag system called Dura-Drag to some of their reels. Penn engineers collaborated with a leading auto manufacturer in the USA to develop this system, and they used the same material as used in some transmissions of high performance racing cars. Live liner (LL) – The live liner system that Penn uses in some of their spinning reels is designed for when you are bait fishing (either live or dead bait). It is essentially another drag system, and it is controlled by a lever at the back of the reel, which when engaged will allow the line to move off the spool with barely any resistance, when a fish picks up your bait. One the fish has grabbed the bait and swam off taking line from the reel, you can then disengage the live liner drag simply by flicking the lever back up (this can also be done just by regular cranking on the reel). This will then switch the reel back into normal mode, and the regular drag will now engage. It is an incredibly effective feature that will improve your hook-up rate, as it gives the fish plenty of time to eat the bait before you set the hook. Long cast (LC) – The long cast reels from Penn are designed for surf fishing, and the main difference in these reels is the spool design. The spool is much deeper than on regular spinning reels, and this allows for more line to be added to the reel in a way that allows it to peel off with the minimum of resistance, thus increasing your casting ability. The Long cast feature is perfect for anyone that needs to throw their lures or bait out beyond the surf line, where a regular spinning reel may limit your casting distance. A very simple, yet extremely effective design that does what it has been designed to do very well. Bail-less (BLS) – As the name suggests, the bail-less Penn spinning reels come with….you guessed it, no bail! These reels have become very popular for surf fishing, as there is no risk of the bail arm flicking over when you have just launched a big cast out over the surf, and snapping your line. The action of the reel still works in exactly the same way that a reel with a bail arm would, in that the line feeds round the stem, and to cast you simply remove the line from the stem. It is very easy to use, extremely efficient in fact. And when you are able to remove a delicate part of a reel, in this case the bail arm, then you have a much more durable reel to use. 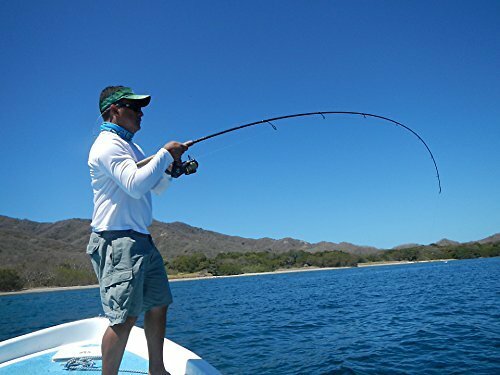 High Speed (HS) – The high speed reels are ideal for both shore and boat fishing, where you are casting out big lures and you want that fast retrieval. These reels have been designed to increase line pickup when you are cranking in your lures, so you can get that fast action that you need for some species. You will find the HS reels only in their larger Slammer 3 reels (6500 and 8500), the they are distinguished from the regular Slammer models by their red coloring on the black background. The versatility of Penn’s spinning reels has made them a popular choice with anglers of all levels. The company has been making its fishing reels since 1932, so the ongoing commitment and the experience they have are just a couple of reasons why they are such a trusted choice. The reason that Penn has not only survived the ultra competitive fishing reel market, but also succeeded consistently year after year, is that they understand the constant evolution of fishing equipment, and are able to produce quality products time after time, and at a very affordable price. While Penn is an American company that does still produce a lot of its own components and reels within the USA, they do also source some of their parts and production from oversees now. They have had to do this in order to stay competitive within the market, as their main competitors all produce their reels outside of the USA. This should not detract from the quality of their product though, as the integrity of Penn spinning reels has remained at the highest of standards, and they continue to improve their reels with their forward thinking approach and dedication to stay as one of the most popular choices for spinning reel manufacturers. What I personally like about Penn’s range of spinning reels is that they are not overly flash, and they are not marketed with fancy names for features that nobody really understands. Their reels are built to a very high standard; they are durable, reliable and they just work extremely well! Don’t expect all the bells and whistles on the spinning reel range from Penn that you may find on other brands. But what you can expect is to get a reel that does exactly what is has been designed to do, and it will do it very well. You can also expect to get a lot of usage from your Penn spinning reel too, as they really are built to last.